Great teachers. They’re memorable. Think about those inspiring teachers who have influence on your life. Now think about you being that great teacher for future generations. You bring the enthusiasm and Purdue’s College of Education will help you get there. With devoted faculty, small class sizes and innovative teaching methods, Purdue education students are job-ready and in demand. At Purdue, education majors are offered in six academic colleges. Want to teach elementary school? 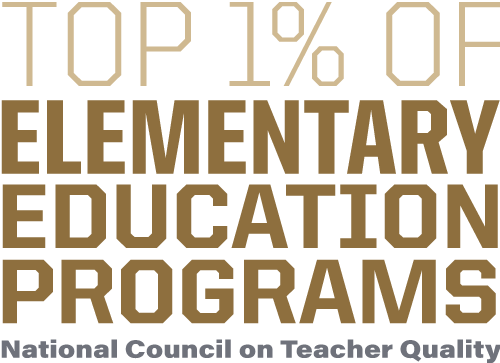 Your Purdue academic home is College of Education. Want to teach high school math? Your home is the College of Science. This structure allows students all-access to teaching methods coursework in the College of Education while those who need focused subject-matter training — science teachers, math teachers, English teachers, etc. — also study alongside peers who are biology, math and English majors. View Purdue’s full list of teaching and education majors. What are Purdue Education graduates doing? 84.62% are employed, 6.15% are continuing with their education, 3.08% are seeking employment, 0.00% are seeking education, and 6.15% are engaged in other activities.